Why has Cuenca become so popular with expats? 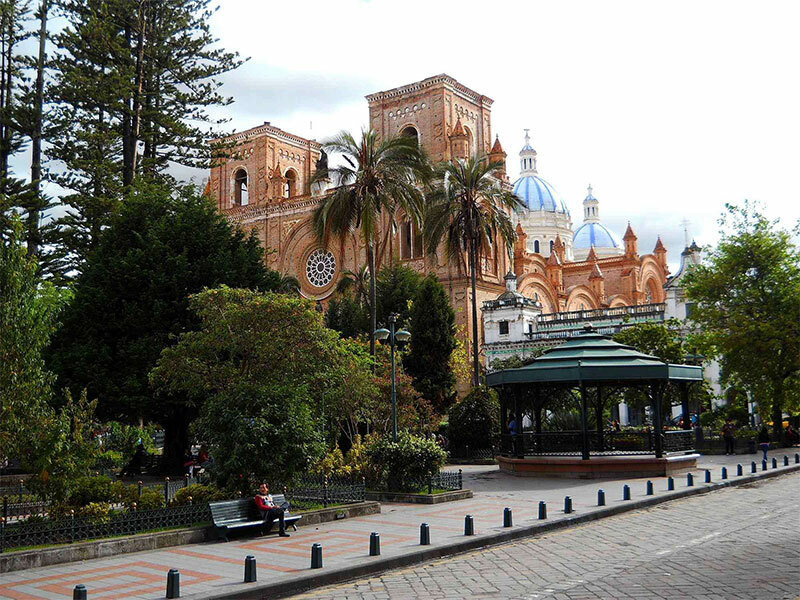 A handful of North Americans gravitated to Ecuador, especially Cuenca, in the early 2000s. In February 2004, when CuencaHighLife founder David Morrill moved here (he’d originally visited on a bird-watching tour, then returned on a Gary Scott real-estate tour), he found that a couple dozen expats from North American and Europe had preceded him, including Lee Harrison who succeeded Gary Scott as the Ecuador correspondent for International Living. By 2007, an estimated 300 to 400 resident expats had settled in Cuenca, many of them having married into Ecuadorian families. Then, in 2008 Stern, Germany’s version of Newsweek magazine, rated Cuenca the best place to live in Latin American for foreigners, and National Geographic included Cuenca in its list of the world’s top 50 historic cities. But Cuenca’s status as a world-class expat hot spot dates specifically to September 2009, when International Living, which had added a popular website to its print publications, named Cuenca the world’s number-one retirement destination. It was the first time International Living had bestowed the honor on a single city and not a country. Morrill and former Cuenca resident Lee Harrison were writing for International Living at the time and probably played the biggest role in the number one ranking. Neither, however, thought they were playing a rankings game. “Our point was that Cuenca was a very good place to live,” Morrill said. “We weren’t saying that it was the best and didn’t know about IL’s plan to name a champion. We’ve been blamed, or credited, however you look at it, for bringing thousands of gringos to Cuenca and that was never our intention,” he says. The Cuenca story was quickly picked up by other publications and websites, including U.S. News and World Report, The Guardian, Conde Nast Traveler and USA Today, as well as most of the major television networks. In its 2010 Best in Travel guidebook, Lonely Planet named Cuenca one of the 10 top cities for travelers. Also in 2010, Kathleen Peddicord, founding publisher of International Living and current publisher of Live and Invest Overseas, named Cuenca the world’s most affordable expat city in her popular book How to Retire Overseas. The extensive worldwide coverage propelled a gaggle of gringos to Ecuador and especially Cuenca. Since fall 2009, Cuenca’s English-speaking expat population has mushroomed by roughly 800%. To the closest guesstimate as of early 2016, 4,500 to 6,000 permanent English-speaking, mostly North American expats, live in Cuenca. Although the growth of the North American expat community has slowed considerably since 2013, other expat groups have started to arrive according to government immigration sources. The number of Europeans, including Germans, French, Spaniards and Scandinavians, has tripled since 2013, according to former University of Cuenca demographer José Miller. Another trend, he says, is the rapid increase in the number of younger North Americans and Europeans, many of them with families. “My estimate is that 7,000 North Americans and Europeans currently live permanently in Cuenca,” Miller says. The city of Cuenca’s foreign affairs office puts the number at 8,000, but they say their estimate is based on sources sunch as Miller. So what’s the attraction? Why do so many “first-generation” expats gravitate to Cuenca? What are the factors that prompt them to make the big move here, then make a new life for themselves?